VADODARA: An eatery joint is always looked as a place of comfort and recounting a culinary adventure. Vadodara formerly known as Baroda, the third-largest city in the Western Indian state of Gujarat, after Ahmedabad and Surat, witnessed the launching of a new delightful and yummy restaurant ‘Royal Taste & Banquet Hall’ on 25 April 2018. Situated at Bikaner House Water Tank Road,Opp.Saibaba Temple,Karelibaug,Vadodara(Gujarat), the eating place was inaugurated by none-other-than Bollywood actor Shiva who had featured in more than 100 films and known for his villainous or comic roles from Chashme Baddoor in 1981 to Ghar Ek Mandir, Qayamat Se Qayamat Tak, Zakhmi Aurat, Hum, Ghatakand many more. 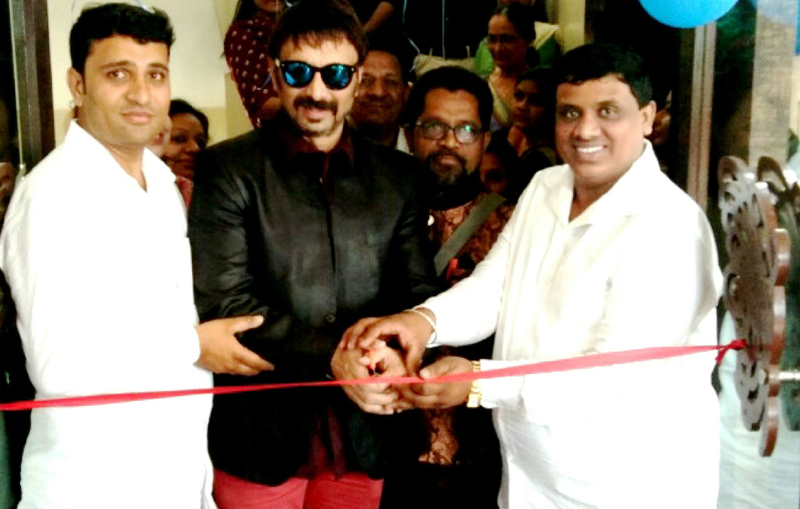 Well-known people from all walks of life and other celebrities with Chirag Patel, Bhavesh Patel &Shiva like Social worker Dilip Patel, Pravinbhai Patel, Dhirajbhai Patel, Anandbhai Patel,Dalsukhbhai Prajapati,Madhu Shrivastava and others attended the opening of this restaurant and made it a grand affair.